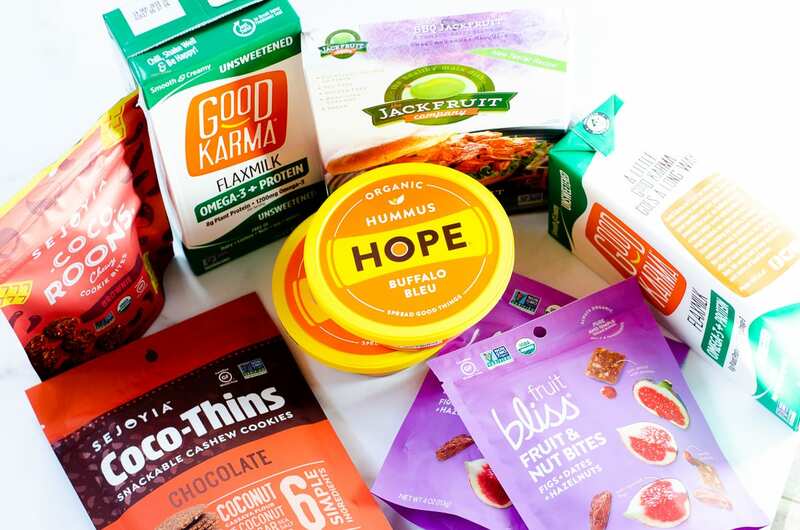 The plant-based foods industry is seeing tremendous growth, with dollar sales up 20 percent since last year, totaling $3.3 billion, according to data the Plant Based Food Association commissioned from Nielsen. Not only are vegetarians and vegans seeking out different plant-based options, but meat-eaters are changing their diets as well. Whether it’s because of environmental concerns, balancing nutritional needs, a way to avoid allergens, or just needing a change, switching to a more plant-based diet doesn’t have to be boring or hard. Check out some tips below and you’ll be eating plant-based before you know it! Meatless Mondays With a Twist. The Jackfruit Company’s BBQ Jackfruit is perfect for tacos, a pulled “meat” sammy or even on a pizza. Mornings Without Dairy. Say goodbye to dairy-based milks and yogurts and switch to Good Karma Foods’ Unsweetened Flaxmilk + Protein, which delivers 8g plant-based protein per serving, along with the heart-health benefits of omega-3 fatty acids found in flax. The Snack Revolution. Everyone loves to snack but you don’t have to sacrifice taste for healthy options! Hope Foods’ Buffalo Bleu Hummus provides the flavor and spice of your traditional buffalo sauce flavor, but with only 50 calories a serving. Instead of ordering wings at your next football party, try this with your cauliflower and use as a simple dip for crackers! Cookie Makeover. Who says you can’t eat cookies if you’re on a plant-based diet?! Sejoyia Coco-Thins are made with only 5-7 ingredients like coconut and cashew. And they taste so good, you won’t miss your Chips Ahoy! Getting To The Top of the Pyramid – Committing to a plant-based diet can help you better reach your nutritional goals without having to eat salads for every meal. For instance, Fruit Bliss, now offers Fruit & Nut bites that combine their organic sun-ripened dried fruit made delicious through an innovative steaming process, with dates, hazelnuts and cacao nibs to help you enjoy fruit in a crave-able snack! Are you open to plant based diet? Comment below and let us know your thoughts. How Did Online Dating Become Part Of Our Culture?